We are now entering the last quarter of 2015 and, sadly, the poaching onslaught on the planet’s remaining rhinoceros shows no sign of abating. This despite worldwide condemnation of both the poaching and also the seemingly insatiable demand for rhino horn in countries like Vietnam and China. The raw statistics are frightening. 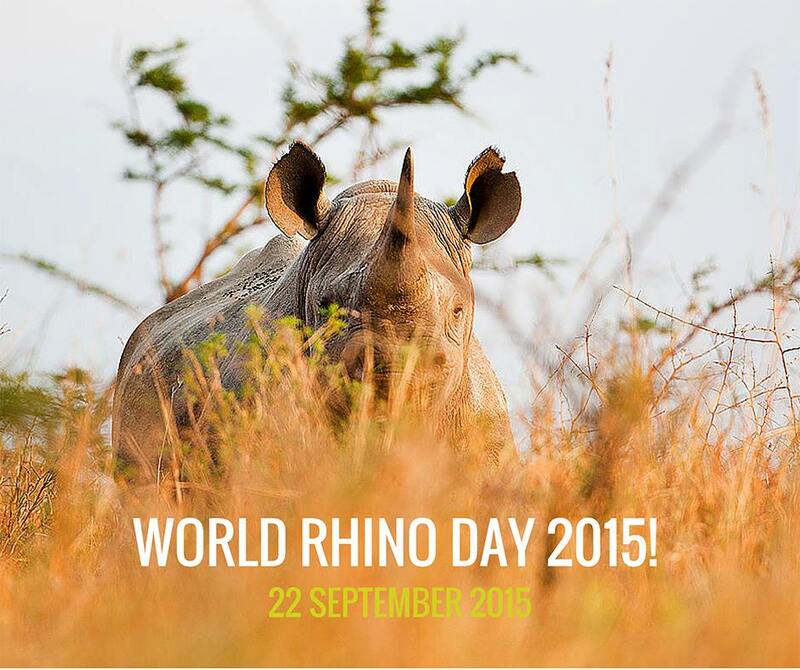 In 2013, 1006 rhinos were killed. In 2014, this number jumped to 1215. During 2015 official numbers of rhinos killed are no longer published but best estimates suggest that about 120 rhinos are being killed per month. This translates to four rhinos slaughtered per day. The burning question is how long these numbers can continue before rhinos in the wild are no more. The legendary conservationist Dame Jane Goodall DBE commented on this in her message to attendees of the recent Gala Fundraising Dinner held by The Australian Rhino Project in Sydney a week ago. Conservation experts talk about the ”Tipping Point” which is the kill rate of rhinos exceeds the birth rate. Given that a rhino has a gestation period of approximately sixteen months and has but one calf at a time this is a significant milestone. There is a strong body of opinion amongst deeply concerned conservationists that we have now reached this point. In 2013, the Australian Rhino Project was formed with the goal of establishing a breeding herd of rhinos in Australia as an ‘Insurance Population’ and an alternative strategy to prevent the potential extinction of the oldest mammal on the planet in the wild. 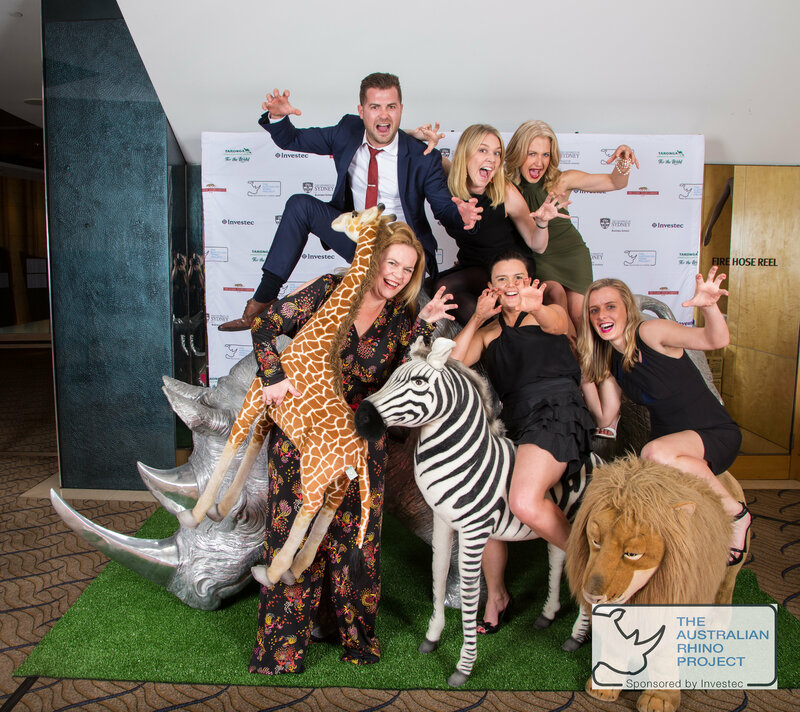 We have established formal partnerships with Investec Australia, the Taronga Conservation Society, the University of Sydney Business School and also the Veterinary Faculty, Monarto Zoo as well as The Classic Safari Company. Our focus continues to be on what we call the four pillars. The first was to ensure that all statutory, legislative and banking requirements for The Australian Rhino Project were met in Australia. This is not as simple as it may seem and we are indebted to Mark Stanbridge and his enthusiastic team at Ashurst Australia for the enormous amount of work that went into this to ensure compliance. A critical element has been the granting by the Australian Government of the DGR (Donor Gift Recipient) Status, which enables a full tax deduction for any donations that you may make . I am delighted to advise that we now have the facility for donors and sponsors in the USA, the UK and also South Africa to make fully tax deductible donations. Let us know if you have any difficulty in processing your donations. The other critical components required to make The Australian Rhino Project a reality are gaining the approval of the Australian authorities to import the rhinos directly into Australia and gaining the approval of the South African authorities to provide us with a suitable number of rhinos which will ensure the success of the Project and finally, to raise sufficient funds to make this all happen. We are enormously grateful to the Governments of both countries in supporting our plan. We have now identified the first group of rhinos to be translocated to Australia and fundraising is in full swing. We have had a significant number of generous donations from a wonderful group of people. In addition we held a highly successful fundraising dinner in Sydney last week which was attended by 650 passionate and enthusiastic people. We have been honoured to host Dr Peter Morkel, one of the world’s leading wildlife veterinarians, in Australia. His knowledge and experience made a lasting impression on everyone that he met. We really appreciated everyone making the time to be with us and we were particularly pleased with the level of interest shown in not only the issues, but also our plans to make Australia’s contribution to tackling the poaching onslaught of rhinos. In terms of the required funding, we are getting closer to our target. James Kirby, the owner of the world famous Hungerford Hill Winery, has made a generous offer to all supporters of The Australian Rhino Project whereby James will donate 10% of any sales made to supporters of our project. Please use this link www.hungerfordhill.com.au/rhino.html to place your orders. Thank you James! We have so many wonderful supporters from all walks of life. One of these is one of Australia’s leading artists Rodney Pople. Rodney has prepared two beautiful paintings and they will be shown for the first time on Tuesday, September 29 at the Australian Galleries in Melbourne at 6pm. If you happen to be in Melbourne, please come along, Rodney and I would love to meet you. The address is 35 Derby Street, Collingwood. The Exhibition closes on Sunday, October 18. 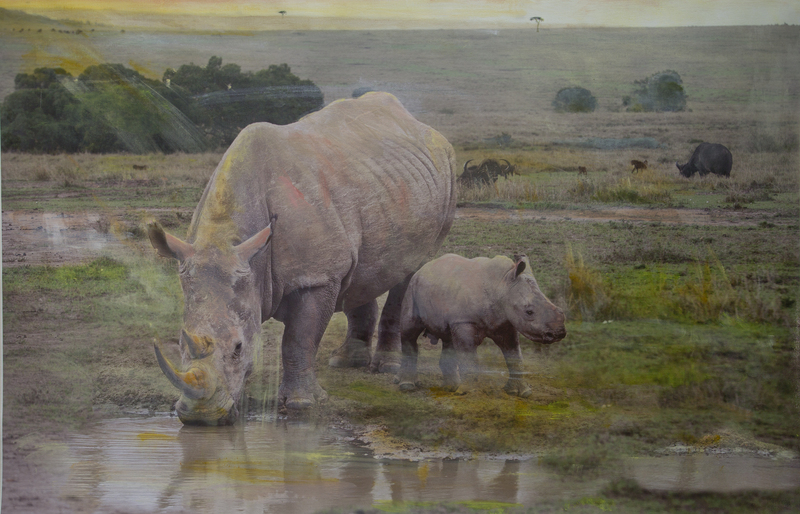 Proceeds from a successful sale of the work below will go directly to The Australian Rhino Project. On behalf of the Board and everyone at The Australia Rhino Project, I would like to thank you for making this journey with us. We are close. The Australian Department of Agriculture is in the process of verifying that the rhinos are not carrying any diseases that might impact on Australia’s biodiversity but after previous successful imports of rhinos from Southern Africa to Australia we are all working very hard to bring these rhinos to Australia – out of harm’s way – as soon as possible. Moving rhinos halfway across the world requires NASA type precision and planning. We are extremely fortunate to have domain experts on both sides of the Indian Ocean who have experience in such projects. Not for one moment do we suggest that our proposal to build this breeding herd in Australia is the answer, rather it is but one strand in a complex strategy in the fight against the poaching of these iconic animals.